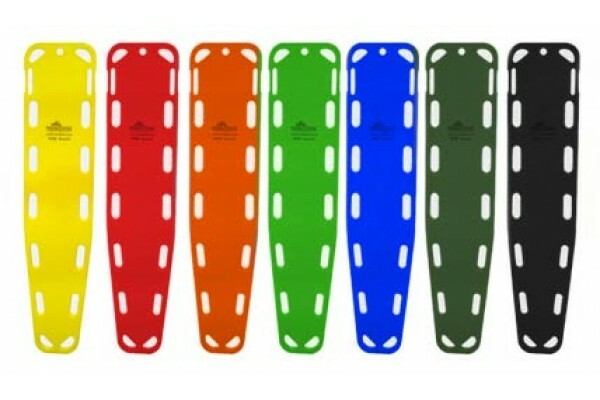 Iron Duck's Patient Transfer Spine Board (our Base Board) is the most rigid plastic spine board in its weight class. 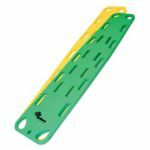 Test prove that this simple, effective and economical immobilization and transfer backboard provides the lowest deflection in the 400 to 500 lb weight class. 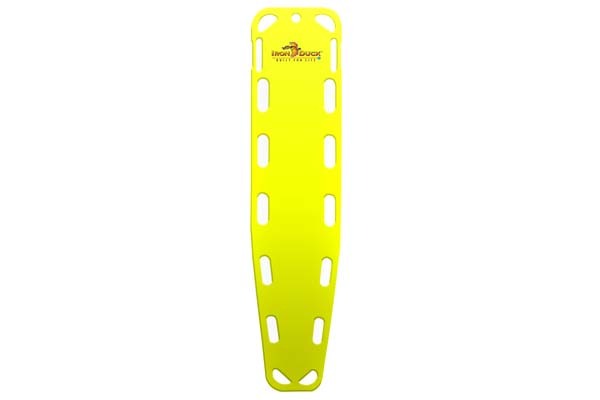 The flat surface of this backboard won't compromise CPR efforts or aggravate cervical spine injuries (as concave boards may) while the tapered design and convex bottom facilitates extrication, immobilization, log-rolling and easy lifting. 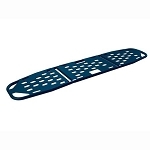 The board is fabricated with a tough, completely impervious rotomolded HDPE plastic shell over non-toxic eco-friendly polyurethane foam. 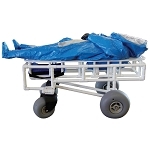 Subtle surface texture prevents slippage but is easy to clean and disinfect. 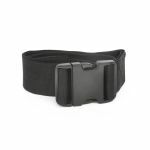 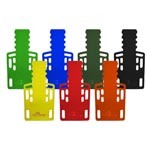 Fourteen oversized hand-holds each measuring 2" x 6" will accommodate gloved hands. 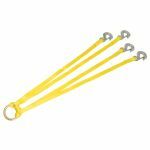 12 optional offset composite pins can be located in the lower third of the handholds, keeping pins out of the way when lifting patients. 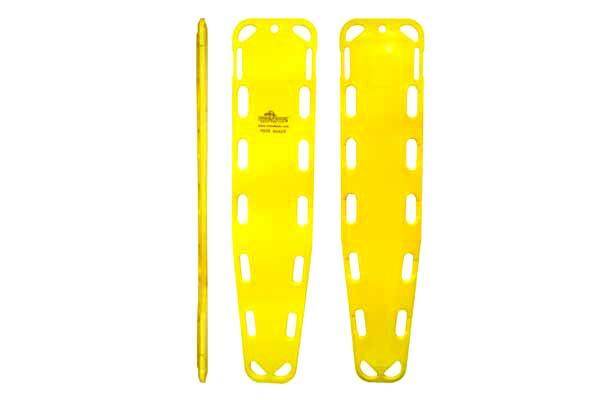 This highly rigid, 100% X-Ray translucent spine board is easy to maintain and store making it the only backboard for economical daily use and mass-casualty.